Having a family get together or party and embarrassed by your dirty windows? Dirty siding? Or maybe you have trees growing out of your gutters? A Perfect View Window Cleaning is your one stop shop for pressure washing, window cleaning, and gutter cleaning - basically all of your home’s exterior cleaning needs! We can pressure wash any type of siding or deck and patio. 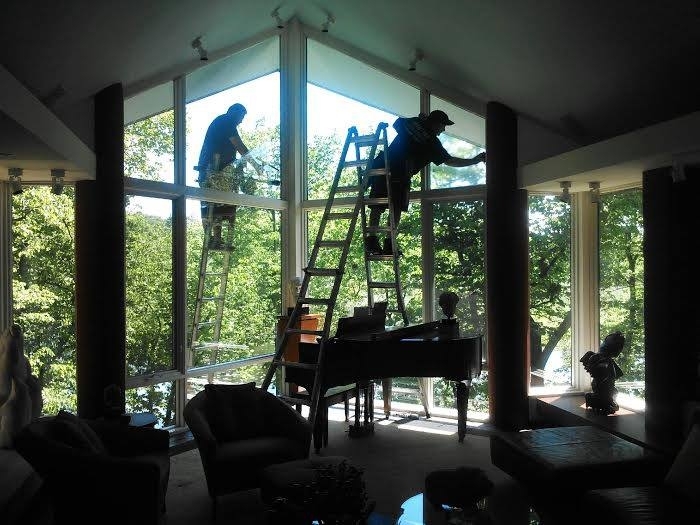 We do all jobs in a timely, clean, professional fashion, and your home will be looking great in no time! Our window cleaning staff works side by side with Chris (the owner) to be sure every job has the high quality standards which has helped us gain our great reputation.